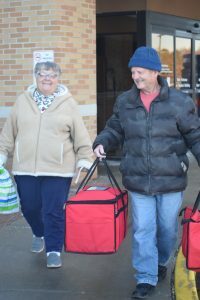 Hospitality is the call being answered by Dawn and Jim Weaver of Biron, members at St. Lawrence Parish in Wisconsin Rapids. 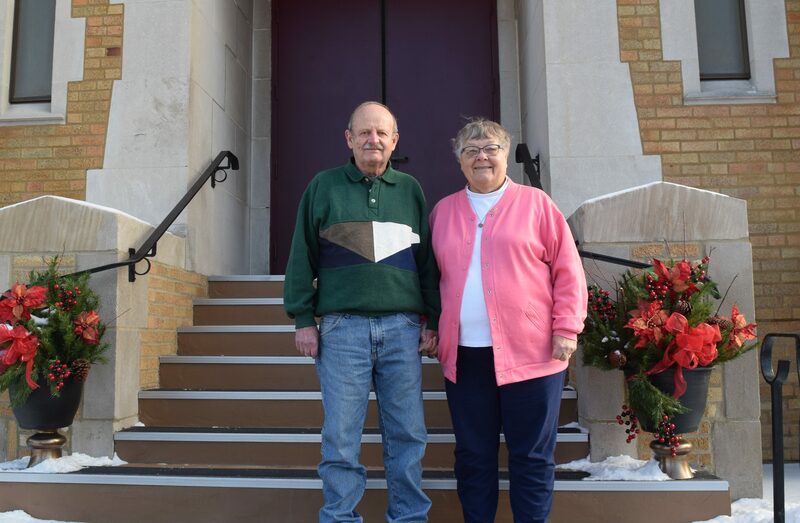 The retired couple has committed themselves to serving their parish and community through various ministries that carry God’s overflowing generosity and love to those they encounter. Dawn and Jim were both born in Wisconsin Rapids. Aside from a few years of Dawn’s childhood when her family moved to Western Minnesota, both have lived their whole lives in the area. Jim grew up in a Catholic family, attending SS. Peter and Paul Parish. Dawn grew up in the Lutheran tradition. After graduation from Assumption High School, Jim went to work at Consolidated, the local paper mill. It was after working a 3-11 shift one night that he stopped to have a drink on his way home; little did he know he was to meet his future wife who was enjoying an evening out with friends at the same establishment. Dawn and Jim began talking that evening and it wasn’t long after that they began dating. They dated for many years before Jim worked up the courage to ask Dawn to become his wife. The two made a home in Biron, just half a mile from where Jim grew up. During their dating years, Dawn and Jim recognized the importance of worshipping together as a couple. 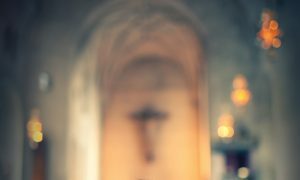 Dawn decided that she would make preparations to join the Catholic Church. 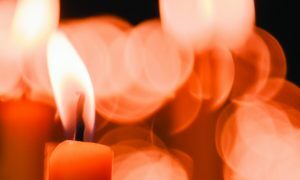 She fondly remembers midnight Mass 41 years ago when she entered the Church and made her first Holy Communion by the glow of the altar candles. Dawn and Jim joined St. Lawrence Parish in 1999. “It is such a friendly place!” they share. They found a home at St. Lawrence and began finding ways to get involved. “I am a person who, when I see that something needs to be done, I do it,” Dawn says. The couple has helped with various ministries over the years, but Dawn’s back problems prevent them from doing as much as they would like these days. Dawn and Jim pick up meals to deliver on their route. Dawn still tries to stay active with the women of the parish, serving funeral meals. Both she and Jim are often found hosting the hospitality social after Mass on the weekends. 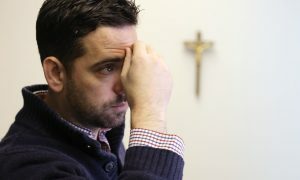 They enjoy the opportunity for fellowship and see it as a way to build up the parish family. Another ministry the couple takes part in together is serving Meals on Wheels to area elderly. 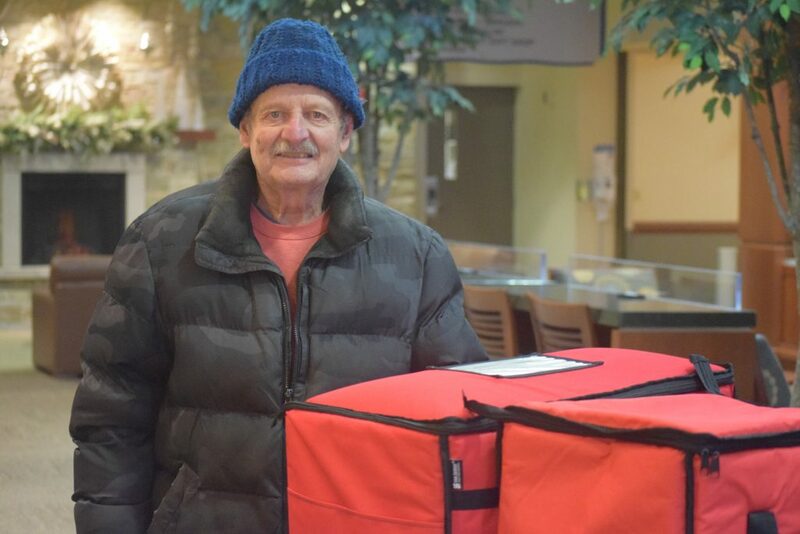 Once or twice most weeks, the couple picks up the prepared meals at the local hospital and delivers them to – on average – 10 recipients on a route. Since they drive the same route week to week, they have the unique opportunity to get to know the residents and form relationships with them, whether it means chatting about the weather, hearing family updates or opening someone’s milk carton. So, Dawn and Jim count themselves lucky to be that link to the outside world for many they serve. Being able to do it all together is what keeps them following their calling of hospitality. Even their spare time and hobbies follow this theme. Dawn enjoys cooking, whether it’s for family, friends or in service for funerals. She also loves to sit back with a skein of yarn and knit. These days, most of what she crafts she gives away as gifts or donations. It is one of the few activities she can fully devote herself to, even with a sore back. Jim’s hobbies rely on warmer weather. He waits anxiously for spring when he can plant and tend his flowers and tomatoes. It brings him joy to see the plants grow, bloom and beautify his yard, inviting especially many birds, which Jim also tends. He has become skilled at attracting many varieties including orioles and hummingbirds. Through lives of hospitality, Dawn and Jim have found their calling. The grace they encounter through their generosity offers a big welcome in their small corner of the world.